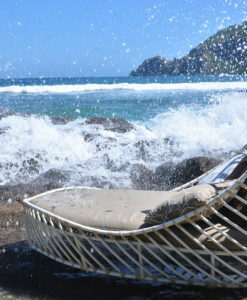 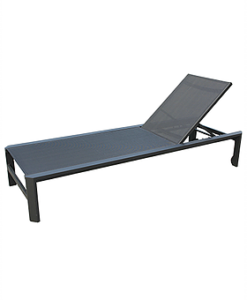 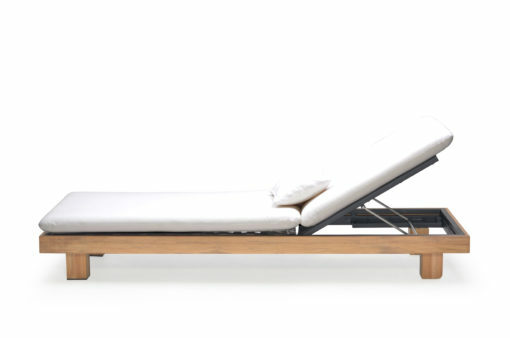 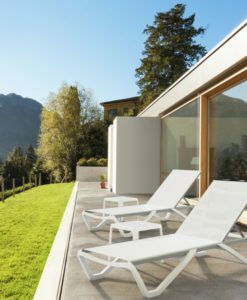 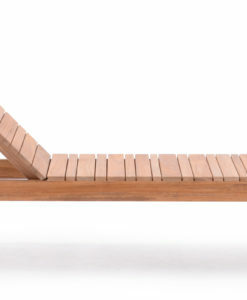 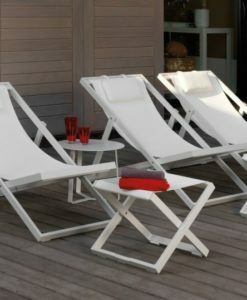 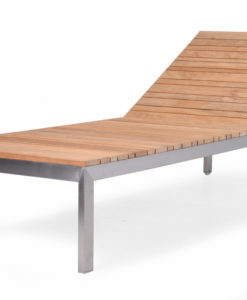 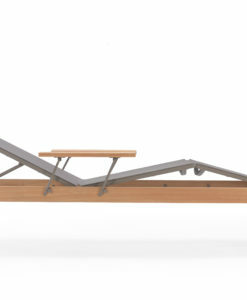 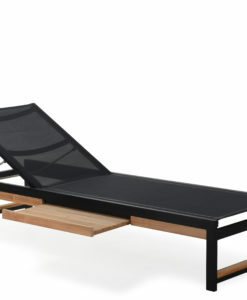 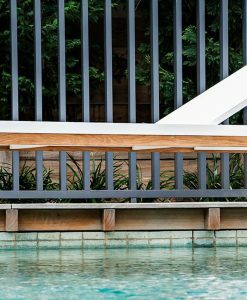 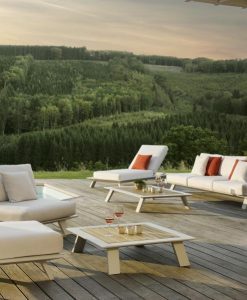 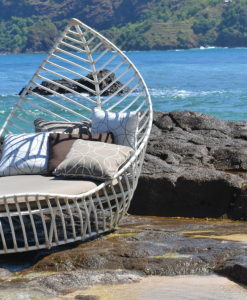 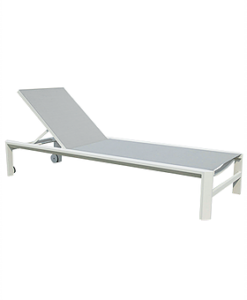 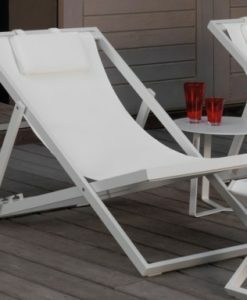 Alura chaise lounger is great for terrace or pool areas wind resistance, thanks to the design teak and powder coated aluminum details. 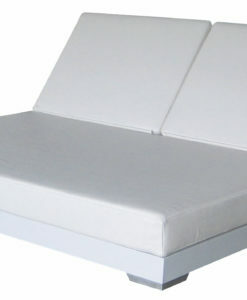 With a thick cushion for extra comfort and small wheels for easy movement. 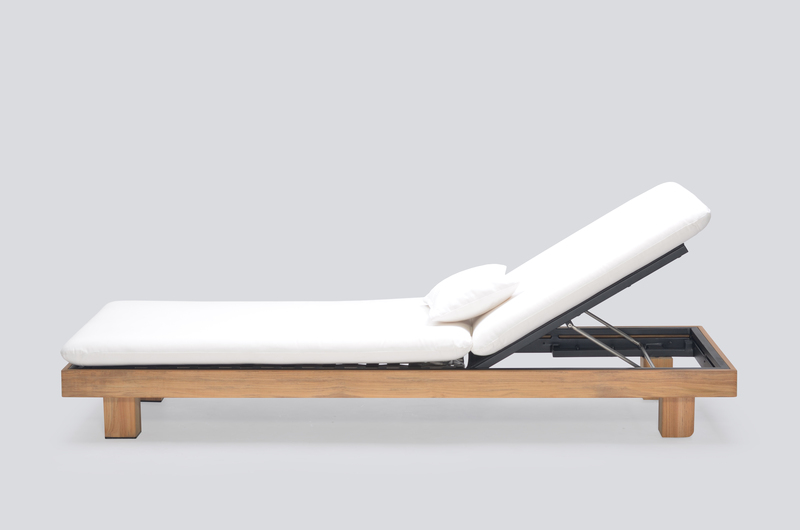 Reclining adjustable is else available. 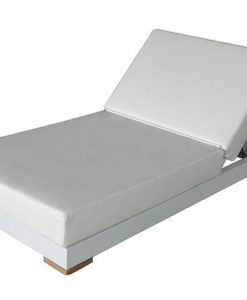 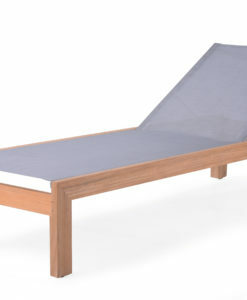 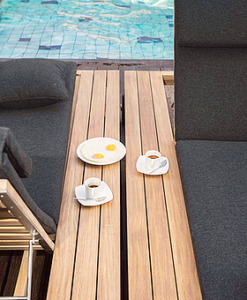 Teak and Quick dry foam & outdoor cushion with Batyline sling.